Between 1980 and 1992 I’ve worked myself through a pretty impressive list off concerts in Belgium and sometimes abroad (especially London). 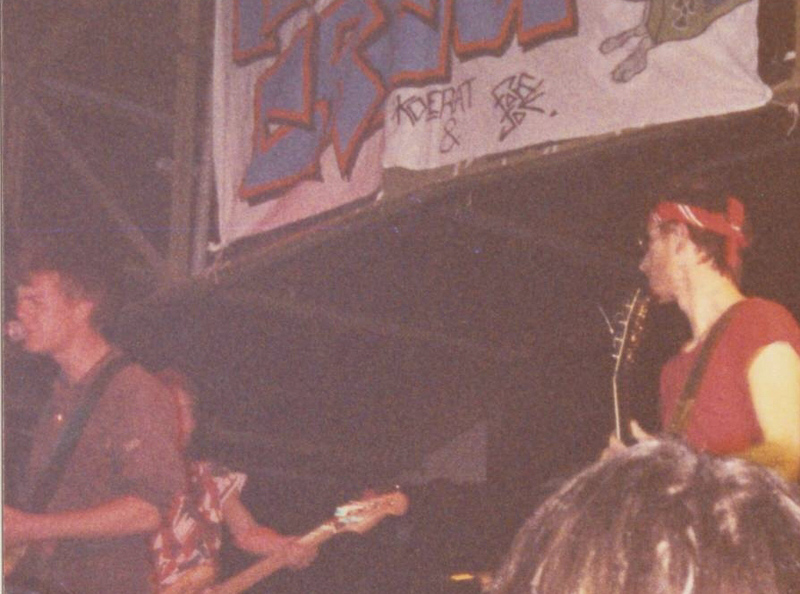 The concerts by Smurfpunx in ‘Netwerk’ were among the best I can remember (along with those in Scherpenheuvel), really! Splendid venue, good sound-system, great bands, excellent organisation… A genuine relief after other concerts that got cancelled or hadn’t started yet at midnight because the speakers didn’t make a sound. That was supposed to be the charm of punk but one should not be surprised that, after a while, people no longer show up – a bit of quality is in order. I know for sure that the first gig was a major godsend in terms of turn-out, about 200 men, we hadn’t really expected that. We even made a little bit of profit that we invested neatly in the next one. It’s not that hard actually: make sure to come up with cheap flyers and word-of-mouth advertising at other concerts that the venue and sound-system are OK, don’t pay the bands a fortune but something respectable, make sure that there is enough booze, put a few valiant guys at the entrance (genre ‘Kockie’, ‘De Lange’ or ‘Den Bosse’) to ensure that not everyone gets in for free, and everything will be OK. 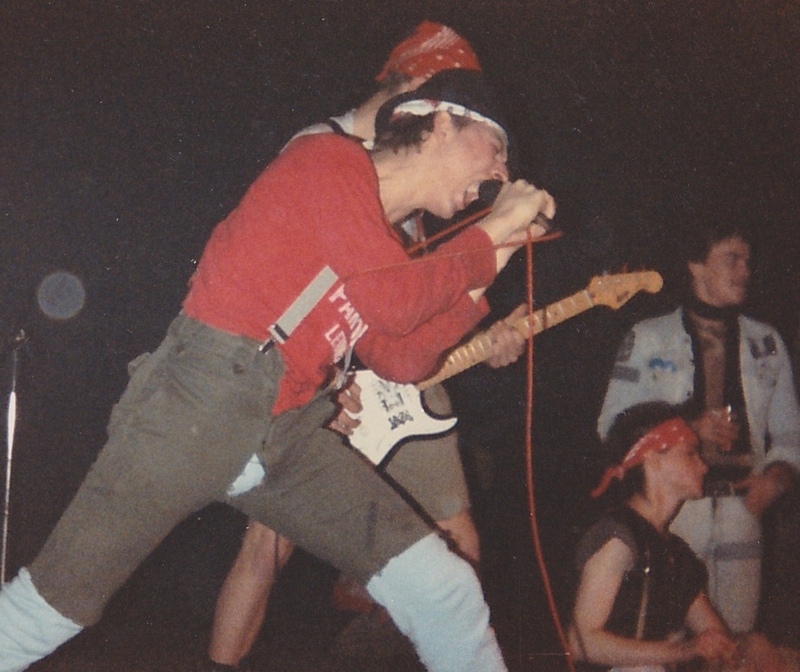 The only problem was that from the first concert on, we had problems with the cops because of the noise at night; although the concerts were always over before midnight and nothing was ever demolished, but the neighbours were shocked of course by the many ‘dangerous’ punks on their square. In any case, after the success of the first gig I gladly wanted to try a second one with a British group. I think ‘Stel’ then pulled out somewhat (he didn’t like that kind of bands much) but a lot of people from Leuven (Dirk [Ceustermans], Ludo [Vannoppen], sorry that I do not remember all the names) were helping out. I had written and invited some 15 English bands: ‘Conflict’, ‘Flux of Pink Indians’, ‘Chaos UK’, ‘Violators’, ‘Addicts’,… that genre. I recall that I offered them all together 15.000 BeF (and free accommodation) to come from England; nowadays that seems incredibly little: € 375. 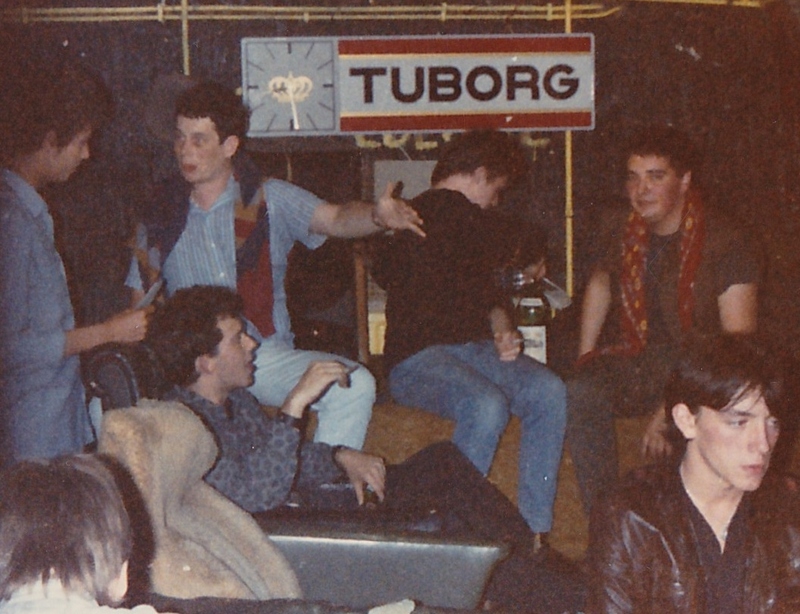 Yet there were three bands mad enough to come over: first ‘Disrupters’, then ‘Varukers’, after that ‘Disorder’. 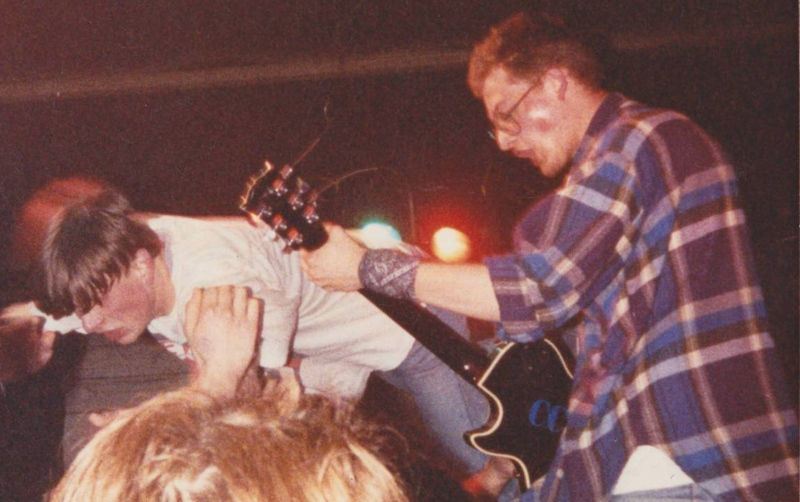 Each time that was at ‘Q104’, with some Belgian bands supporting and each time about 200 people turned up. I had the impression that they just came down because there was a punk-fest in Leuven, not because they loved that specific band. I know that all bands were very pleased afterwards because the atmosphere was great (and Belgian beer strong). 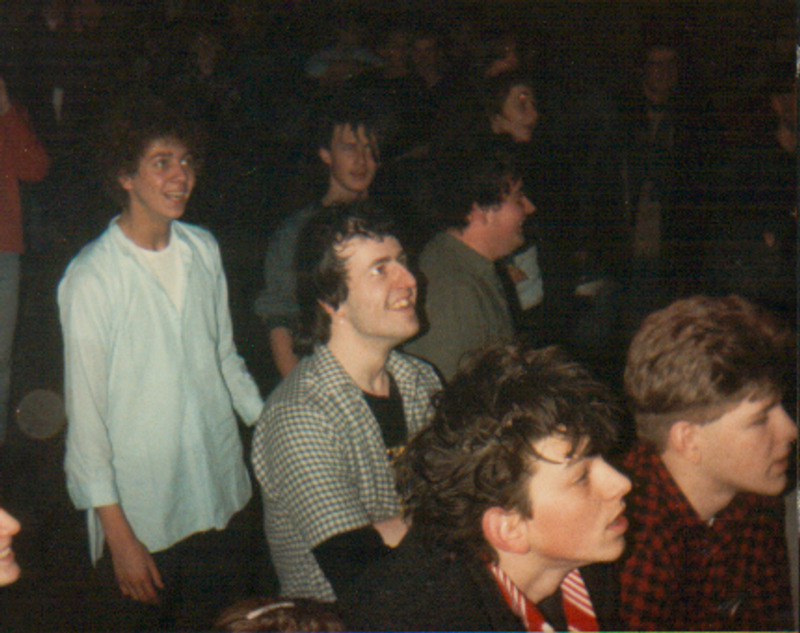 I think ‘Varukers’ and ‘Disorder’ also played in Antwerp one day after Leuven. At this concert with ‘Disorder’ I had established contact but didn’t have much to do with the organising of the concert itself anymore. Afterwards I also completely stopped because a whole generation of young people from Leuven was full of enthusiasm to organise gigs themselves. With that my intention had actually become successful: I certainly didn’t wanna become a big organiser but just trigger something that then could stand on its own feet. In addition, ‘Q104’ no longer wanted us because of the problems with the cops. Frankly: at one point there were just too many concerts in Leuven, sometimes poorly organised or announced too late, so the turn-out dropped dramatically and quickly bled to death a bit. A familiar story, unfortunately. I kept attending a lot of gigs and occasionally wrote something for fanzines, until I moved to Mexico City mid 1992. [Brob: Felix was a free-lance journalist for Belgian newspapers.] 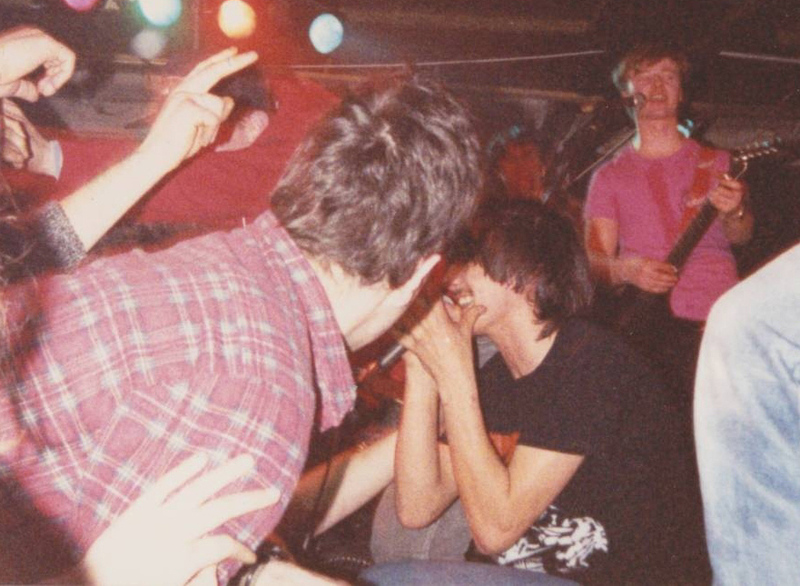 I went to a lot to punk-concerts there too; they were running some 15 years behind and it was all really still in its early stages: rather a bunch of zombies with all those glue-sniffers – but good bands and lots of atmosphere. 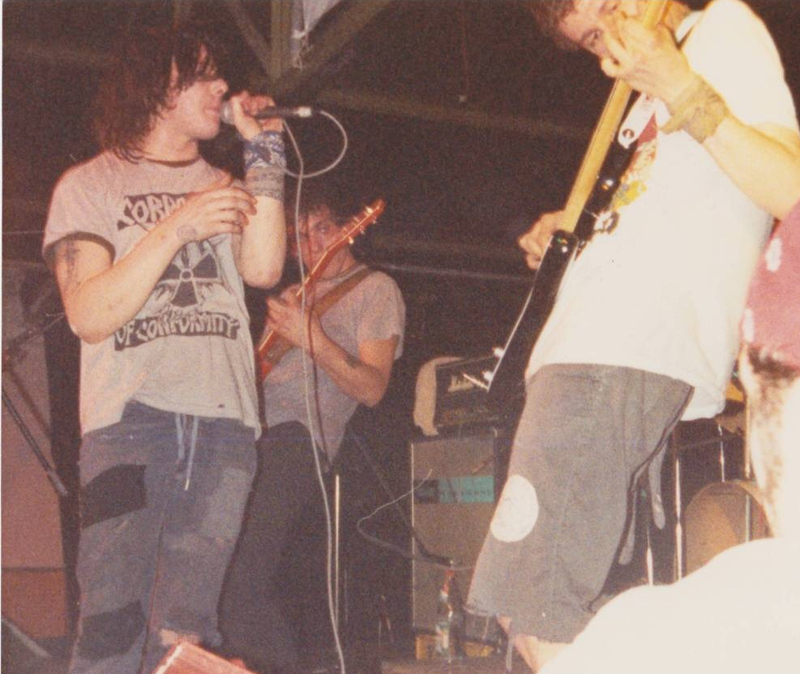 In 1996 I moved to Lima (Peru), where I also attended quite a bunch of punk-gigs the first years: a little more professional and better than in Mexico, with great bands from Argentina coming over. Names that no-one here would have heard about. Since 2004 I live back in Brussels but I do not go to concerts that often anymore because, to be honest, I can’t keep up with all these new names. I think one or two concerts per year, big bands like ‘Smashing Pumpkins’ or ‘Bad Brains’ (not really punk). But I keep listening to punk at home, on my old East-German record-player – my old LP’s have survived, I will transfer them onto CD now. I really start to feel like grandpa punk (and an -unwanted- skinhead) nowadays. A few more Belgian bands that made it to the ‘Q104’ were ‘Heibel’, ‘X-Creta’, ‘Koyaanisqatsi’ (I refuse to spell it like it was mis-spelled on the ‘Alle 24’ LP), ‘Pigs in Blue Glue’, etc. etc. 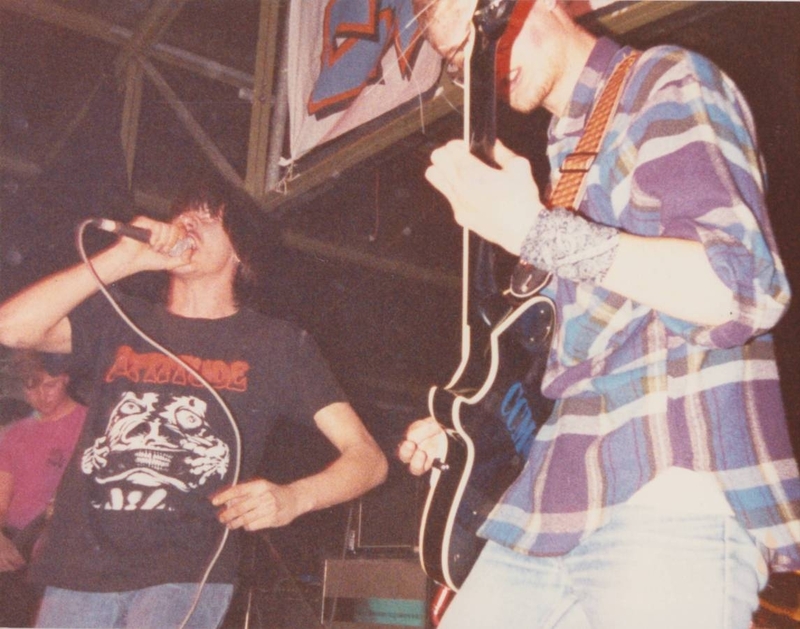 The first 3 were on a same bill (in 1985) and it can be considered a legendary gig as these bands at that time played some sort of crossover punk/metal that was probably the first time it happened in Belgium. 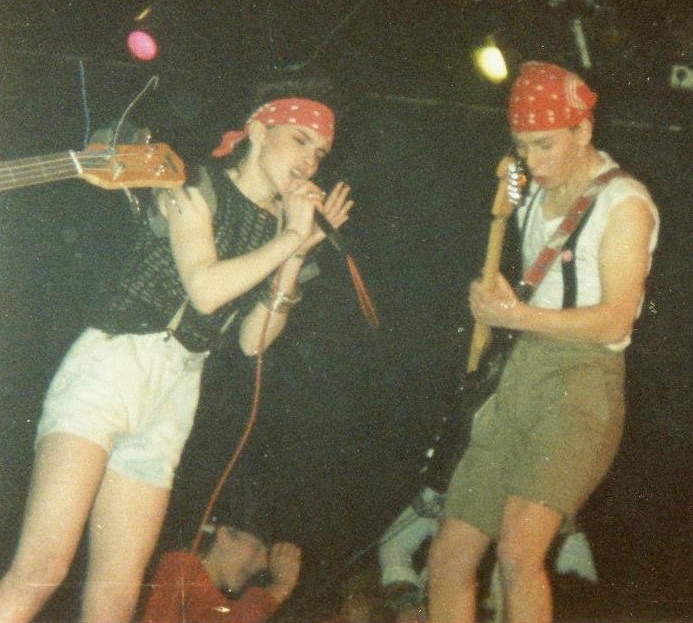 Somewhere in Smurfpunx’ history, ‘The Joyce McKinney Experience’ did a fabulous concert. I know I was very excited about the vocal harmonies of Sharon Hunt and Yvonne McAvoy. In letters from that era I read this was the day a tail-wind blew them to Aalst along with their friends of ‘Visions Of Change’! 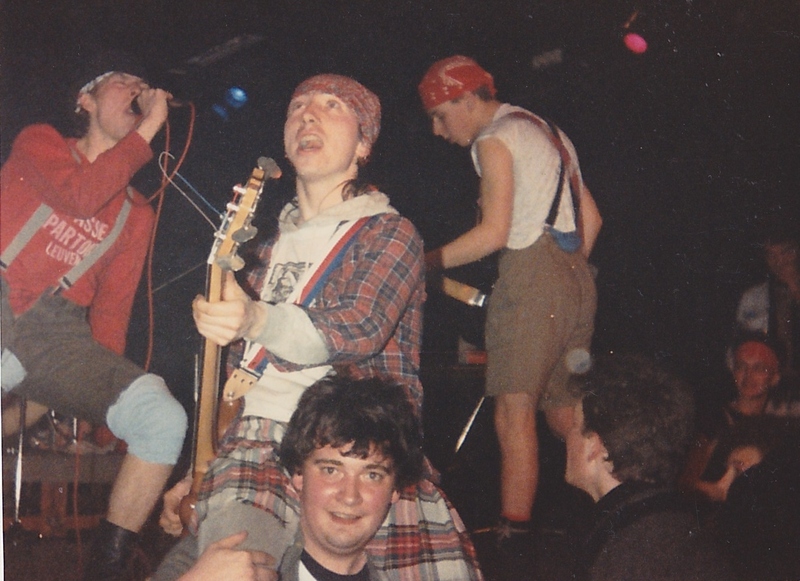 Both ‘J McK E’ and ‘V.O.C.’ (with people from ‘Depraved’: singer Ian Murphy & his brother Lee on guitar, drummer Paul ‘Gigs’ McGivern but now with Kevin Webb -I think- on bass – see also Netwerk, Aalst, 17 apr 87 (Cólera).) 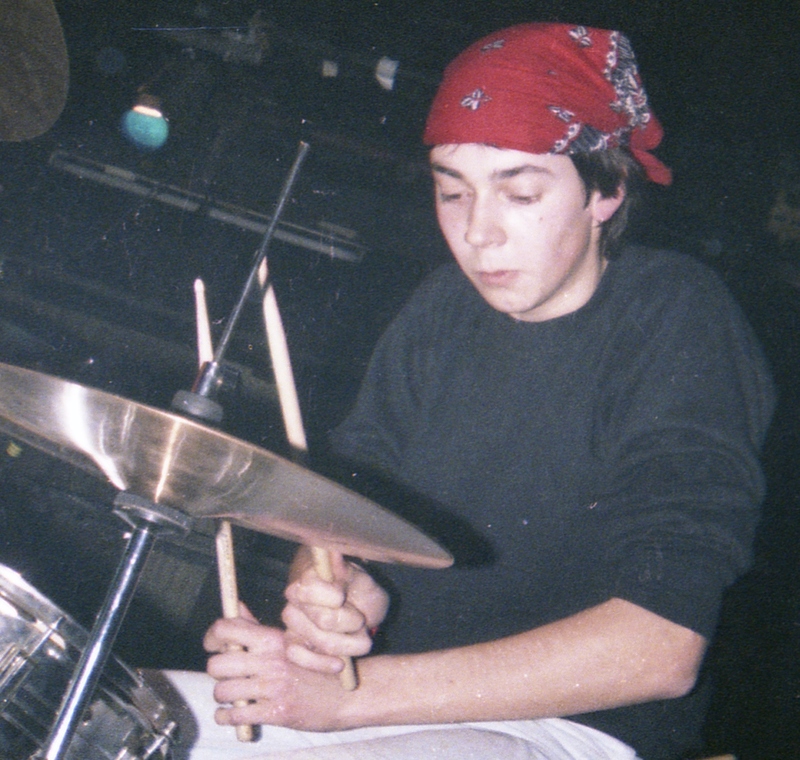 were from Leamington Spa (U.K.), shared drummer Gigs and started their tour here. They had been driving all night and had another concert that evening (@ ‘De Garde’ in Brasschaat). Must’ve been an ordeal but they sounded excellent! A pity they had to go on early and leave to do that other gig… [review of the ‘J McK E’ album in Tilt! #5: “Tuneful, melodic HC with a bunch of surprising hooks and dual female vocals. Lyrics showing a smart understanding of what’s happening with nature and it’s humans. A marvellous record!”] To complete ‘J McK E’ were bassplayer Robbie Robb and guitarist Charles ‘Charlie’ Busby. It was a benefit for the ‘V.I.A. Dachau Fonds’, an organisation set up to raise money and support for total-refusers (Jaak, C.P.D. drummer, and another guy P. Hublou). No-one seems to recall why it was named after a nazi concentration-camp (or maybe that speaks for itself?). ‘KNAL’ is an anti-militarist organisation that wants to denounce abuses. They need money (for actions, fines, etc.). Our band ‘Anguish’ will do benefits for and donate the ‘profits’ to them. You can write us for info. ‘KNAL’ will also put out a ‘zine (no music-reviews) with just political subjects. The first actions will be about Florennes. Pogo for ‘KNAL’! The ‘Scoundrels’ were very good (though their new 2nd guitarist, previously in ‘Wulpse Varkens’, annoyed me a bit) but I can’t recall ‘The Idiots’ anymore. ‘Hate Crew’ were about to embark on a 10-day German tour that Brob organised that summer but it would turn out to be one of my last shows as I didn’t join them. 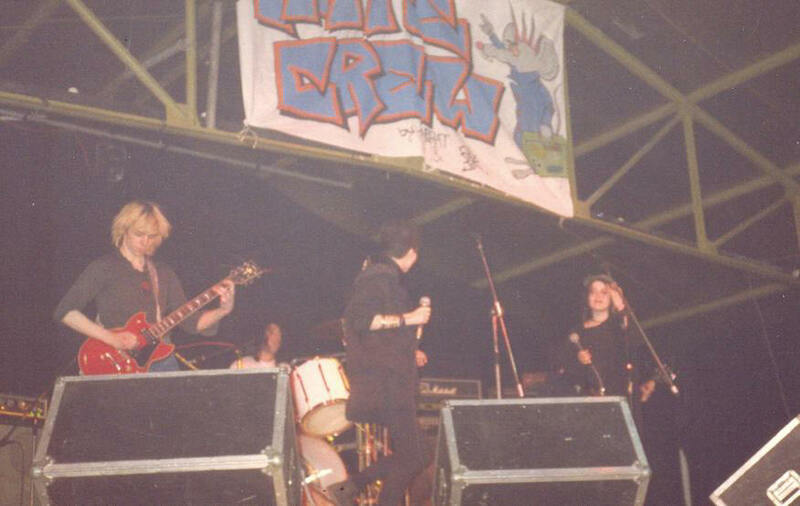 (I might be wrong but I don’t think this was my very last concert with them…) I had it by then with some members of ‘Hate Crew’ and I was weary of the metal turn they and the band had taken. So I had to draw the line somewhere. I wanted to “move on”. ‘Dorpsoudste de Jong’ was kind of a mixture between a stand-up comedian and an ‘alternative poet’ à la Paul van Ostayen (for the connaisseurs). John Massis [Brob: A ‘stunt-man’ that did all kinds of gimmicks, like pulling trains, with his teeth] was planned to show up. I think Mokka arranged that. The intention was that he would bend some kind of sham cruise-missile made out of a metal stove-pipe with his teeth or something like that… (SMILE) But for some reason he didn’t appear: he was ill, I think, or at least that was what we were told. The concert was a benefit for what is called ‘totaalweigeraars’ in Dutch (literally: ‘those refusing everything’): Jaak (the drummer of ‘C.P.D.’) and a certain Patrick Hulbou, whose background was never clear to me. These were people who refused to do any kind of compulsory military service. For the young or/and the Anglo-Americans, who (mostly) never knew compulsory military service and as such never had to think about what to do when time came, this might need some explanation. At that time, most continental European countries still had compulsory military service. Those were they days that clean-cut and khaki-clad conscripts were a familiar sight in railway-stations on Friday- and Sunday-evening. Some militant left-wingers consciously chose to do the military service, assuming that they could learn useful techniques there for eventual armed struggle. Conscientious objectors could, after a lengthy procedure, opt for unarmed military service (e.g. in the kitchen) or an alternative civil service, taking one and a half to twice as long, either in a civil protection and disaster intervention unit, in a hospital or in the socio-cultural sector. At that time, Belgium had a staunchly pro-NATO government and objection was also socially frowned upon. Some, out of ideological grounds, refused to do both kinds of services. This actually needed guts, for as ‘draft-dodgers’, they became liable for criminal prosecution and prison-sentences. The concert was to raise funds to help pay their lawyers’ bill. It’s not clear how the case ended. So we leave it up to Jaak and Patrick to tell it themselves if they read this and feel like it. 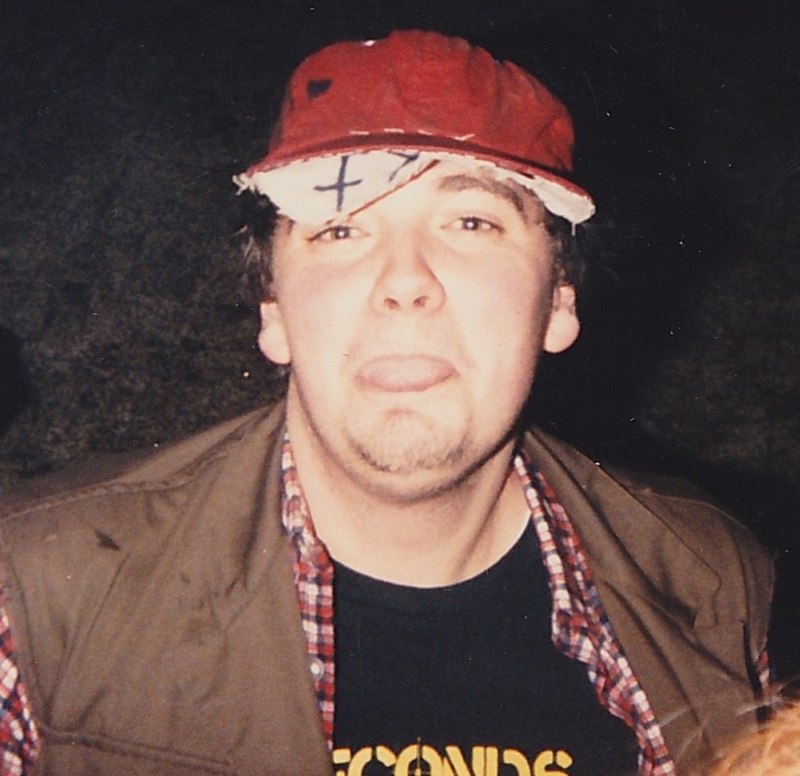 We organised it in collaboration with a number of anarchist committees and rather esoteric action-groups but I recall that things never really ‘stuck’ with those people, save a few exceptions like Eric from ‘De Nar’. I found them pretentious, criticising everything. Yet advance viable alternatives was, of course, something else… (for that is called ‘responsibility’). It was never OK and never good enough for them but they weren’t ever clear about what they actually wanted. Probably they didn’t know themselves. 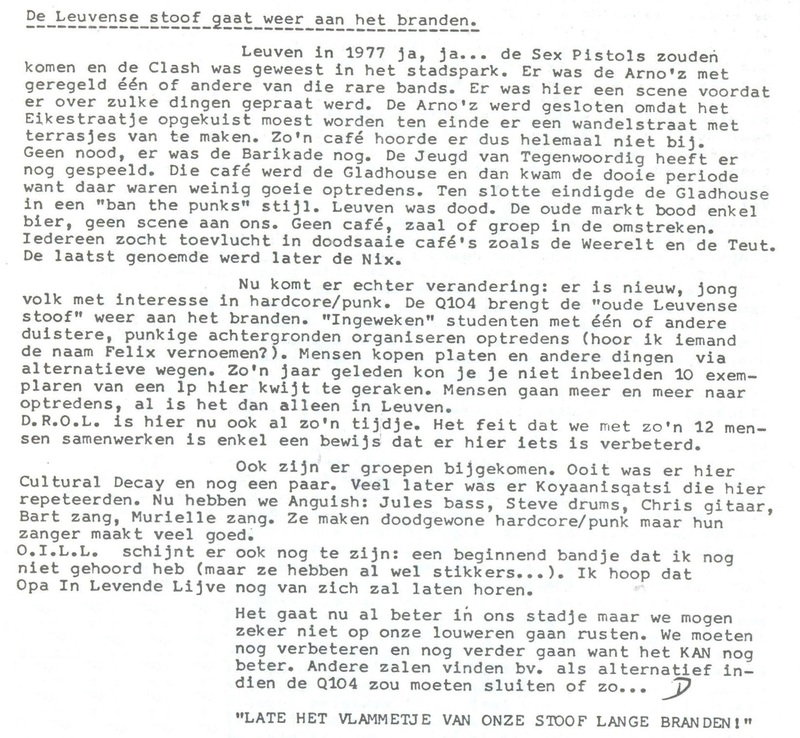 That day, Felix De Witte, a free-lance journalist specialized in Third World issues and – during his years at uni – an organiser of punk-gigs in Leuven, promoted a book about his brother Michaël. The latter was a physician who was involved in the FMLN-guerrilla in El Salvador and died during an ambush of the government-army [Brob: I wrote about it in my zine ‘Tilt!’ #5]. It was the only time I saw Felix, normally a very warm-hearted and easy-going person, furious. It happened when a few anarchists took him under fire; threw some of the books around and said that his brother was ‘a violent Stalinist’. The man had been a Communist and one who was sincerely driven and willing to go all the way for what he believed in. And the FMLN indeed were no softies (their opponents even less, so they didn’t have to be). It was incredibly out of place to say something like that from the safety of commune-squats and on welfare-allowances paid by the very system and society that you claim to hate. Jeez! You guys at Smurfpunx really do everything possible to put up great shows. It was a real surprise to see ‘Visions Of Change’ and ‘The Joyce McKinney Experience’ as a replacement for ‘Fang!’. ‘Scoundrels were very good aswell. I can’t remember who P. Hublou was, Jaak could tell us more… ‘V.I.A. Dachau Fonds’ and ‘KNAL!’ were contacted by someone of ‘Netwerk’. 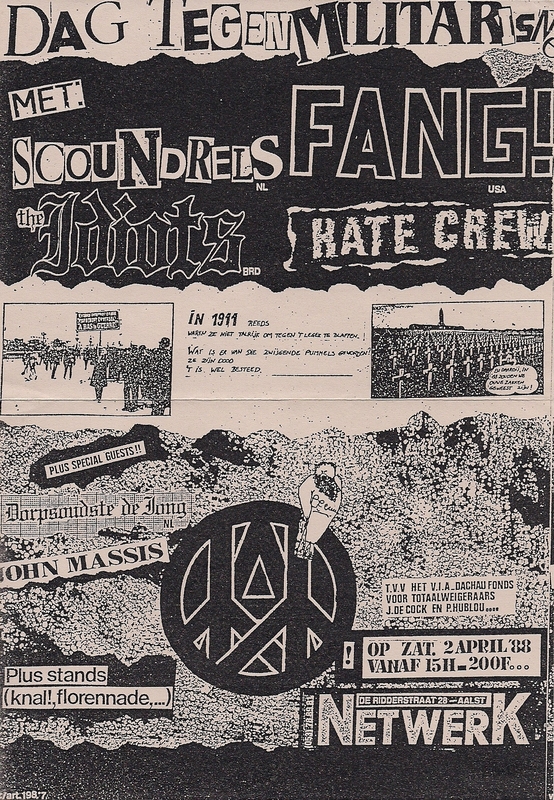 ‘Florennade’ was invited by me because an ex-girlfriend of mine was an active member; they were ‘bomb-spotters’, one of those anti cruise-missile groups that were around in Belgium and the rest of Europe (they were really independent and not connected to one or other party). When those cruise-missiles were actually placed in Florrenes, they succeeded in buying a house right nearby the airforce-base from where they kept an eye on things, even tried to mobilise the local population and ‘educate’ the military, etc. They kept the peace-movement in the know; these were especially afraid that the cruise-missiles would be secretly moved to another army-base. I know the national intelligence/security-services constantly kept an eye on them and that they also had to deal with infiltration-attempts. Massis was indeed ill. ‘Dorpsoudste de Jong’ didn’t want to come – I rang him myself: he didn’t see the use of it; he did come on another occasion. [Jos is pretty sure he came (see his recollection below); perhaps Mokka confuses dates.] Don’t know about any discussions anymore. The tour by ‘Fang!’ and ‘The Idiots’ was cancelled but don’t ask me who replaced them. You were wearing an ‘It’s OK not to drink’ T-shirt when we played you’re venue in Aalst. I can remember it well because it was the first date we played of the tour ands it seemed well organised and clean. A lot better than in the UK. The bands really appreciated the food that you cooked for us. Actually, I did perform in Netwerk in Aalst. I remember very well that it díd happen, but how and what exactly…? There was some correspondence beforehand and in one of those notes I was told the best thing for me was to travel to ‘Brussel Zuid’ [railway-station] and opposite of the station there as a small café where someone would be waiting for me. Get this right: it was a time long before internet, google-maps, email, mobile phones – you name it. I had never been in Brussels before but you just leave and indeed: opposite the station there was a café with the same name mentioned in the letter, and there I met, after some looking around, the person who was waiting for me. I imagine we had something to drink first, the host might have had a bear and myself a coffee or a soda. And after that we took the train to Aalst. At that time Aalst already had a special significance to me because of the columns by Louis Paul Boon [Flemish writer]; he had lived not so far away from there and Aalst occurred in his ‘Boontjes’ from time to time. But I’m wandering off… It was beautiful weather according to me; that’s very well possible because in April it’s always nice in Belgium, in any case when I’m visiting (something I did quite often after that) it’s always beautiful weather in Belgium in April. In Netwerk I was quickly piloted to the dressing-room [no real backstage in netwerk, there was a room upstairs where bands/performers could relax and have a meal] and there I met acquaintances from Amsterdam. But who were they? The ‘Scoundrels’? [not from A’dam but the south of the Netherlands; almost Belgians – smile] Did these come from Amsterdam? Did ‘Nog Watt’ happen to be there? I didn’t see them on the poster. Or ‘Amsterdamned’? [Probably Hettie of Konkurrent and perhaps some of her friends, touring with ‘Joyce McKinney Experience’] Or Jeroen doing the sound for this or that band? I can’t recall but for sure I didn’t feel alone anymore in far-way Belgium. Yep, Hettie, of course! And Jeroen could be correct then too, I think they were together for a while. Jeroen Visser (http://www.mhlabs.com/metric_halo/news/jeroen.shtml), once played in ‘Frenz Fried’, the ‘Frimos’ and ‘Frites Modern’; he was the sound-guy for ‘The Ex’ and other bands… How did my performance go? No idea. No curtain of shame falls over me when I try to remember so let’s keep it to reasonable, perhaps even good. How did I get home? No idea. Can’t recall a journey in the opposite direction even though it could have taken place. It’s also possible that I drove back with one of the bands. Who will tell? It’s only a mere 22 years ago. I’ve got a box with old diaries somewhere around here. Who knows I can still find the one from ‘88 between them. It would find it funny if I would bump into the name of that café and the name of the one who waited for me there. But did I write that down? More probable is that I just got out of the train with the note in my hands, quickly checked the name of the place, looked who I would find there and that this information would have never been entered in my journal. But if…well yeah, I even don’t have a clue where that box with old diaries is. Moved not so long ago and sometimes I am hopelessly looking for stuff. Oh yeah: when I do come Brussels nowadays, I sometimes still look from the train-window in search of a row of facades where I could detect that café. But well, that area there has changed so much: perhaps the place doesn’t exist since 20 years anymore?